Lee University offers a wide variety of financial aid to eligible students, including endowment scholarships, federal and state grants, loans, employment opportunities and private scholarships, as well as a combination of these programs. 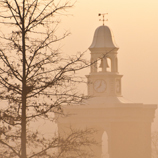 Since a large portion of Lee University’s resources for financial aid is tied to federal funding, it is required that eligibility or need be established as an initial step in applying for financial aid. To determine need, the Free Application for Federal Student Aid (FAFSA) MUST BE FILED through the Federal Processor. This will allow a student to be considered for the range of financial aid options available through the Lee University Financial Aid Office. All information must be received by Lee University before March 15 to be included in the priority group. To expedite the process, file a FAFSA online. Financial aid recipients must be enrolled at least half-time in a degree program. In certain cases, students who are less than half-time may be eligible for the Pell Grant. Any changes in Federal Work-Study (FWS) placement (or number of hours awarded, etc.) MUST be cleared through the Financial Aid Office prior to changes taking place. Students must have all documents completed and submitted to the Financial Aid Office prior to beginning work. A completed contract, I-9 and W-4 are required prior to working. All loan recipients must assume repayment responsibility upon leaving school. Prior to graduation (or withdrawal), an exit interview should be scheduled to ensure full understanding of loan terms and repayment provisions (including deferment options). Financial aid recipients are expected to maintain satisfactory academic progress for continuation of aid. Students anticipating funds from sources other than the Financial Aid Office should notify the office as soon as an award is made. This includes scholarships, loans, etc. Certain aid may be reduced if total aid exceeds the cost of attendance. Students planning to withdraw or drop any course work must notify the Financial Aid Office prior to doing so. Students may be asked to repay part or all of any aid received. Students must re-apply for financial aid each year by submitting the Free Application for Federal Student Aid (FAFSA). The application opens on January 1 and the annual re-applying priority deadline is March 15 for fall enrollment. The Financial Aid Office will process financial aid requests without regard to race, religious affiliation, gender, age, or disability. All funds are subject to individual student need as well as to the availability of funds. Financial aid recipients must maintain good standing within the university community. 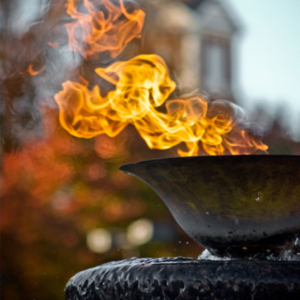 The Financial Aid Office reserves the right (on behalf of Lee University) to review and cancel any financial aid award in the event of academic, financial or disciplinary misconduct on the part of the recipient. Students who have been on chapel probation for three or more consecutive months and are on chapel probation at the end of the semester will forfeit any university-funded scholarships for which they would have otherwise qualified during the following semester. 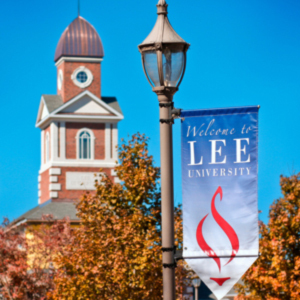 Institutional Scholarships (including academic scholarships and employee tuition discounts) can be applied toward only one off-campus study program during a student’s enrollment at Lee including intercultural studies internships, student teaching (distance placement), the Semester Study Abroad: UK program and Global perspectives trips. Graduation may impact eligibility for future financial aid. The Financial Aid Office should at all times have a local phone number and address at which students can be reached. If family/individual situations change during the school year, the Financial Aid Office should be notified. You may qualify for special conditions revision. In accordance with the Higher Education Opportunity Act of 2008 (HEOA) consumer information is made available on the Lee University website. Financial aid payments to student accounts will begin no earlier than the first day of class. Typically, funds are posted to the student’s account by an electronic means. Due to the volume at the beginning of each semester, it may take up to 2-3 weeks for initial payments or when the funds are released from their originating source. State grants typically arrive mid-semester. Some aid such as Employee Discount and Family Tuition Discount are paid after the fifth week of the semester. Incomplete files may delay payment of funds. 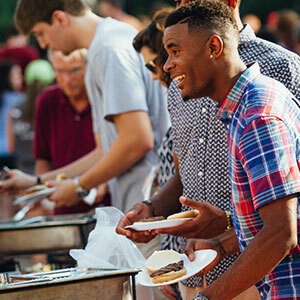 Students should be prepared to cover personal expenses until all aid is disbursed. Under the student eligibility provisions of section 484(d)(3) of the Higher Education Act, a student who does not have a high school diploma or GED is eligible to receive Title IV, HEA program assistance if the student “completes a secondary school education in a home-school setting that is treated as a home-school or private school under State law.” Section 484(d)(3) imposes no age limitation on the eligibility of homeschooled students. An “underage” home-schooled student is considered to be “beyond the age of compulsory school attendance in the State in which the institution is located,” if that State does not consider that student truant once he or she has completed a home-school program; or would not require the student to attend school or continue to be home-schooled. Hours earned from participation in a Lee University sponsored study trip may be considered toward hours enrolled for purposes of applying for federal student financial aid. Hours earned from participation in an individually Arranged Cross-Cultural trip can only be considered if the attending institution completes a Contractual Agreement. For more information, please see the Director of Financial Aid. If you have any unusual family or financial circumstances you feel have not been reflected properly in the determination of your financial need, you are encouraged to contact us. These unusual circumstances may include one or more of the following: loss of job, change in income, divorce, death, and/or private elementary or secondary education costs. If you have additional educational costs that exceed the university’s published cost of attendance, such as child care, computer purchase, study abroad, or additional tuition charges, please contact the Financial Aid Office. You must submit the FAFSA application to be considered for these federal aid programs. The FAFSA can be submitted online. Some aid programs are designated for particular types of students (i.e. undergraduate, graduate, professional) and level of federal need. Students applying for early admission must meet early admissions standards in order to receive Federal Aid. Have a high school diploma, a General Education Development (GED) certificate or complete a high school education in a home school setting that is treated as such under state law. Be working toward a degree in an eligible program. For information on all Federal Student Financial Aid Programs click here. Pell Grants are the foundation of federal student financial aid, to which aid from other federal and nonfederal sources might be added. Pell Grants are generally awarded only to undergraduate students – those who haven’t earned a bachelor’s degree. For more information, go to http://studentaid.ed.gov/types/grants-scholarships. Grants ranging from $100 to $500 a year are awarded to students with exceptional financial need who for lack of financial means would not be able to attend college. Supplemental Grants are restricted to undergraduates. A FSEOG may be received through the period required for degree completion. This is a federal aid program administered by Lee University which provides part-time employment on campus for a limited number of students with demonstrated need. Some positions are available through the Community Service Learning Program. Each student worker is normally employed for 10 hours a week at the current minimum wage rate. Students are paid bi-monthly. A completed contract, I-9, and W-4 must be completed before starting work. It is the responsibility of the student to secure a job on-campus. There is an on-campus listing to assist the student in finding a work study position. The Department of Education’s TEACH Grant Program provides funds to postsecondary students who are completing or plan to complete coursework that is needed to begin a career in teaching, and who agree to serve for at least four years as a full-time, highly qualified teacher in a high-need field, in a school serving low-income students. Eligible full-time students may receive $4,000 per year in TEACH Grant funds, up to a maximum of $16,000 for undergraduate and post baccalaureate study, and $8,000 for graduate study. If you receive a TEACH Grant but do not complete the required four years of teaching service within eight years after completing the coursework for which you received the grant, or if you otherwise do not meet the requirements of the TEACH Grant Program, all TEACH Grant funds that you received will be converted to a Federal Direct Unsubsidized Stafford Loan that you must repay in full, with interest, dating back to the original disbursement date, to the Department of Education. Once a TEACH Grant is converted to a loan, it cannot be converted back to a grant. Perkins Loans are available to students who are enrolled on at least a half-time basis (6 semester hours) and who demonstrate a financial need. Subject to the availability of funds, an eligible undergraduate may borrow up to $3,000 per academic year or a maximum of $15,000 in undergraduate studies. While the borrower is enrolled in a degree seeking program at least half-time, there is no repayment of the loan and no interest accrues. Repayment of the loan begins nine months after graduation or termination of studies. The interest rate is five percent on the unpaid balance. However, deferments extending the repayment period may be made for a member of the armed forces of the United States, a volunteer under the Peace Corps, a member of VISTA or a full-time law enforcement officer. Federal regulations require all students who participate in the Federal Perkins Loan program to complete Loan Entrance Counseling and Master Promissory Note upon acceptance of the loan. The Financial Aid Office will notify the student once the loan has been set up and the entrance is available on-line. Loan Exit Counseling is also necessary for students who have received the Federal Perkins Loan and drop below half-time enrollment status. An e-mail containing the necessary PIN number will be sent once the Financial Aid office receives notification that the student is no longer enrolled at least half-time. To apply for a loan, you must complete the Free Application for Federal Student Aid (FAFSA). As a first time borrower at Lee University, you also need to complete a Master Promissory Note and Loan Entrance Counseling. The Master Promissory Note and Loan Entrance Counseling should be completed online. Repayment on the loan is made to the Department of Education and payments begin 6 months after the student graduates, leaves school, or drops below half-time (Half-time is 6 hours for undergraduate or 5 hours for graduate). The amount of repayments depends upon the size of the debt, but at least $600 per year must be paid. Deferment from repayment is granted for up to three years while a borrower serves in the Armed Forces, Peace Corps, VISTA or while enrolled full-time. Information and application forms are available online. *The results of your FAFSA determine your eligibility for this loan. *Graduate & Professional Student aggregate loan limit amounts include undergraduate loan amounts. For more information go to www.Studentloans.gov. The subsidized loan is a need-based loan. The maximum amount which may be borrowed per year is $3,500 for freshmen, $4,500 for sophomores, and $5,500 for juniors and seniors. The results of your FAFSA determine your eligibility for this loan. The total amount which may be borrowed for undergraduate study is $23,000. A new federal law called the Higher Education Amendment of 1992 created a new program of Federal Unsubsidized Loans for students who do not qualify, in whole or in part, for Federal Subsidized Loans. The terms of the unsubsidized loan are the same as the terms for subsidized Federal Direct Loans, except that the federal government does not pay interest on the student’s behalf. Monthly or quarterly interest payments may be made during the time of enrollment in school, during the grace period or during any period of deferment or repayment. Rights and responsibilities for Federal Loan Borrowers can be obtained with the consumer information, Student Loan Information, on the Lee University website. Federal regulations require all students who participate in one of the Federal Student Loan programs to complete a Master Promissory Note (MPN). The master promissory note is a contract to repay these funds. It includes information about the rights and responsibilities the student has as a borrower. The MPN can be completed online or by paper. To request a paper copy of the MPN call 1-800-4-FED-AID. Federal regulations require all students who participate in one of the Federal Student Loan programs to complete Loan Entrance Counseling. The purpose is to provide loan information to students who anticipate receiving a Federal Student Loan. All first-time borrowers at Lee University are required to complete Loan Entrance Counseling prior to receiving the first disbursement of their loan. Federal regulations require all students who participate in one of the Federal Student Loan programs to attend an Exit Interview conducted by the Financial Aid Office. The purpose of the Exit Interview is to review loan history and repayment terms with each student borrower. The Exit Interview is required for graduation and must be completed before a diploma will be issued. An online portion of the Exit Counseling must be completed as well as the meeting. Online Exit Counseling is also required for students who withdraw or drop below half-time (6 hours) enrollment in a given semester. The Federal PLUS Loan are loans parents can obtain to help pay the cost of education for their dependent undergraduate children. In addition, graduate and professional degree students may obtain PLUS Loans to help pay for their own education. Applications may be submitted online. Graduate students applying for the Federal Direct PLUS loan are required to complete and Entrance Counseling when applying. Exit Interviews are also required for graduate who borrow through this program. Additional information about this loan program can be found at the Federal Student Aid web page. The chart amounts are figured on a fixed interest rate. There is no penalty for paying a loan off early. You will save yourself interest. -If you borrowed $20,000 in a Stafford loan with a fixed interest rate of 6.8% and are paying on the standard 10 year plan; minimum payments are $230 a month. -If you only make the minimum payments, you will pay $7,619 in interest alone over the 10 year repayment period. -If you pay over the minimum amount and paid $270 a month, you will have the loan paid off in 8 years and only pay $5,986 in interest; saving $1,633 in interest payments. To calculate your payments you may use the repayment calculator. Sometimes federal student and parent loans are not enough to cover all educational expenses. For this reason, you may consider applying for a private, credit-based loan that may be used as a supplemental resource for paying college costs. Unlike Direct or PLUS loans, Alternative Loans require a separate application, credit check, multiple disclosures and a Self-Certification form. A co-signer may be required if you have less than two years of good credit history. By applying online you will know instantly if you are eligible or if you need a co-signer. A historical list of available lenders is provided, but you may apply directly with any lender that you choose. Terms and conditions of loans made under the Title IV may be more favorable than the terms of private loans. Students are encouraged to explore all aid programs prior to obtaining a private loan. The Federal definition for undergraduate enrollment status limits the number of times a repeated course can be counted toward eligibility of aid. A previously passed course can only count one additional time toward aid eligibility. For this purpose, passed means any grade higher than an “F”, regardless of any academic policy requiring a higher qualitative grade or measure to have been considered to have passed the course. The student received Federal Title IV or state aid (Federal Pell Grant, Federal Supplemental Educational Opportunity Grant, Tennessee Student Assistance Award, Tennessee Hope Scholarship, Federal Direct Loan, Federal PLUS Loan, but not Federal Work-Study). If a student withdraws, the university is required to calculate the amount of aid earned. Any unearned aid must be returned according to the provisions of the Higher Education Amendments of 1998. The withdrawal date is determined by the Office of Student Life for official withdrawals (see the Undergraduate Academic Section for the policy regarding withdrawing from the University). The withdrawal date for unofficial withdrawals is the last date of recorded attendance or the midpoint of the semester whichever is earlier. The calculation of the return of these funds may result in the student owing a balance to the university and/or the Federal/State Government. The student will be responsible for any balance due on the account after Title IV funds have been returned. The institution will be responsible for the return of unearned tuition and fees. To determine the institution’s responsibility, multiply the total amount of institutional charges for the semester by the percentage unearned. Compare this result with the amount of Title IV aid unearned, the lesser amount is the unearned Title IV aid which will be returned by the institution. The student’s responsibility includes earned Title IV aid due to the lender and any tuition and fees due to the institution. If the student’s portion of unearned Title IV aid is a loan, the terms and conditions of the loan take care of the repayment. If the student’s portion of unearned Title IV aid is a federal grant, the student returns no more than 50 percent of the amount received for the semester. Percent earned is equal to the number of days completed up to the withdrawal date divided by the total number of days in the semester. The amount of Title IV aid earned is equal to the amount of aid disbursed plus the amount of aid that could have been disbursed times the percentage earned. Federal/State financial aid is returned to the federal/state government based on the percent of unearned aid using the following formula: Aid to be returned is equal to the amount of Title IV earned subtracted from Title IV aid disbursed. All students who receive federal financial aid must be working toward an eligible degree from Lee University. In order to assure that students make progress the following requirements have been established. Lee University will utilize the following policy in determining federal financial aid eligibility. Progress will be evaluated at the end of the academic year or at the end of a term as described in Section III. A. Academic year is fall, spring and summer. B. Attempted hours are defined as any course which appears on the transcript. C. Satisfactory grades are A, B, C and D.
D. Unsatisfactory grades are W, F, or I. A. Quantitative (Pace) Standard: Both undergraduate and graduate students must satisfactorily complete 67% of all hours attempted. B. Qualitative (GPA) Standard: Undergraduate students must maintain the following cumulative grade point averages to be considered making satisfactory progress. Total Hours Attempted Minimum Required G.P.A. Graduate students must maintain a minimum 3.0 grade point average which is the academic standard to remain in the graduate programs. C. Maximum hours: Any undergraduate student who has attempted 195 hours or more will not be making progress. Graduate students will be allowed to receive federal aid for a maximum of 150% of the published required hours of their program of study. D. 0.0 GPA within a term: Any student who receives all F’s, W’s or I’s in courses attempted in any semester (fall, spring or summer) will not be making progress. This standard will be reviewed at the end of each term. Students with a 0.0 term GPA will immediately be placed on suspension. E. Transfer students: All transferable credits will be counted toward the maximum number of hours allowed to be eligible for financial aid. Satisfactory progress will be evaluated at the end of the first academic year attended at Lee University. F. Repeat, Remedial and ESL courses will be evaluated consistent with the academic standards of the University. G. Change in major: all course work appearing on Lee’s transcript will be included in the evaluation process regardless of the association with the current declared major. Satisfactory academic progress is reviewed annually for all financial aid applicants to insure that they meet the required qualitative, quantitative, and maximum time frame standards as outlined in Section II. Progress will be evaluated at the end of the academic year or at the end of a term of probation. Any student earning a 0.0 term GPA will immediately be placed on suspension. Applicants who do not meet the standards outlined in Section II will be notified. A. A student who fails to meet any of the above standards of progress will be placed on Financial Aid Suspension. · if the student meets the academic requirements to re-enroll. · other extenuating circumstances directly affecting academic performance. The appeal must be submitted in writing and be accompanied by appropriate supporting documents. These will be reviewed weekly by the Financial Aid Satisfactory Academic Progress Committee. Students will be notified in writing of the Appeal Approval or Appeal Denial. If an appeal is approved the student will be granted one semester of Financial Aid Probation. An Academic Plan may be established by the committee. If so, the plan will be designed to address the academic deficiency to ensure the student is making progress toward his/her degree. The student can continue to receive financial aid during this one semester of probation. Eligibility will be reviewed at the end of the term of probation. At that time the student must either be meeting the overall standards or meeting the terms of their Academic Plan if one was issued. A student who is removed from financial aid and/or whose appeal has been denied may be eligible to have his/her financial aid reinstated if he/she enrolls without federal financial aid and is able to reestablish the minimum progress standards or the terms of the previously established Academic Plan. It is the student’s responsibility to inform the Financial Aid Office if the requirements have been met. The Tennessee Teaching Scholars Program was established by the Tennessee General Assembly in 1995 to encourage exemplary students to enter the teaching force. Participation in this forgivable loan program is limited to college juniors, seniors and post-baccalaureate candidates admitted to a teacher education program in Tennessee. Recipients of the awards incur an obligation to teach one year in a Tennessee public school for each year the award is received or repay the loan with substantial interest. Applications are available online. The Tennessee Student Assistance Corporation (TSAC) is a non-profit organization established by the Tennessee General Assembly to further post-secondary education opportunity for Tennessee residents. In administering the Tennessee Student Assistance Award, TSAC reviews all Tennessee resident applicants who are enrolled in an eligible post-secondary institution. The award for full time enrollment is $4,000. Students apply for the TSAA by completing the Free Application for Federal Student Aid. These funds are exhausted very early in the award process. Tennessee families with financial need are encouraged to submit the FAFSA by February 1st. Families may be required to use estimated tax information to meet this early application time frame. Following the submission of the FAFSA, TSAC will review the student’s application based on family need in the same manner as the Pell Grant. Click here for more information. Tennessee residents who graduate from an eligible Tennessee high school are eligible to apply for a Hope Scholarship. The award amount is up to $2750 per semester for a four-year institution (not to exceed the cost of attendance). To receive the award, students must have been a Tennessee resident for at least one year prior to application deadline. The deadlines for application are September 9th for the fall term and February 1st for the spring and summer terms. overall unweighted GPA of 3.0 or higher. GED graduates must have a minimum GED score of 525. Home-school graduates without a GED must have a minimum ACT composite score of 21 or a minimum SAT composite score of 980. Application is made with the submission of the Free Application for Federal Student Aid (FAFSA). For additional information, contact the Tennessee Student Assistance Corporation at 1-800-342-1663. Information on enrollment, continued eligibility, and appeal requirements for the HOPE scholarship can be found at the Lee University website. This award is for entering freshmen with a 2.5 high school GPA on a 4.0 scale. Recipients must score at least 18 on the ACT or 850 on the SAT or be in the top 25% of their high school class. Recipients must also agree to teach at a K - 12 level in a Tennessee public school one year for each year the award is received. The annual maximum award amount is $5,000 with a lifetime maximum of $20,000. The application deadline is May 15. For more information contact your high school guidance counselor or TSAC at 1-800-342-1663 or click here. Many states now have scholarship or tuition grant programs. In most states, these scholarships or tuition grants may be used only for attendance at post-secondary educational institutions within the particular state. A few may be used for attendance at any school. To obtain the particulars of these programs, contact your high school counselor or state student assistance agency. Recipients of this award must utilize the award in the same year of their graduation or receipt of their GED. Students must have achieved a 3.5 GPA on a 4.0 scale in high school or have an average GED score of 57 or higher. Students must also have at least a high school 3.0 average and be in the top quartile nationally (24 ACT; 1090 SAT) on the ACT or SAT. The $1,500 is renewable annually for a total of four years. The application deadline is April 1. Contact your high school guidance counselor or state agency for additional information. Students should contact their local office of Vocational Rehabilitation, Department of Human Services, to see if they qualify for any educational assistance. The Centennial, Presidential and Dean’s scholarships are awarded to first-time freshmen that enroll as traditional, on-campus students each year based upon ACT or SAT scores. Composite scores for scholarship consideration are taken only from a single test date, and tests must be taken on one of the published national test dates set by The College Board. Students who take the ACT residual test on campus are NOT eligible for academic scholarship consideration. Each academic scholar must maintain a full-time Lee University undergraduate class load of 12-17 semester hours each semester. Academic scholarships do NOT cover the cost of summer camps or Summer Honors. Students older than traditional high school graduates are eligible for academic scholarships if they are first time college attendees. Centennial Scholarship is awarded to any student who has graduated from an approved high school and who scores 32-36 on the ACT or 1410-1600 (Math and Critical Reasoning only) composite score on the SAT. Those students who qualify must carry more than 11 credit hours per semester and maintain a 3.0 cumulative GPA or higher in order to continue receiving the award. The scholarship is distributed in two phases. In the first phase, all Centennial Scholars receive an amount equal to standard tuition. This phase lasts for the recipient’s freshman year. The second phase is in effect from the recipient’s sophomore year until he or she graduates. In the second phase, Centennial Scholars are separated into two categories, Centennial Gold and Centennial Silver. Those Centennial Scholars with a cumulative GPA of 3.0 to 3.69 will be designated as Centennial Silver. Those with a cumulative GPA of 3.7 and above will be designated as Centennial Gold. A Centennial Silver Scholar receives an amount equal to half-tuition for each semester that he or she qualifies. A Centennial Gold Scholar receives an amount equal to full-tuition for each qualifying semester. If at any time the student should lose the scholarship for falling below the 3.0 or the 3.7 cumulative grade point requirement, it can be reinstated at either level once the GPA is equal to or above the original level. This scholarship can be used in any semester including the summer (must take 4 credit hours in any one summer session), but not after graduation. The Centennial Scholarship is awarded in place of, not in addition to, the Honor Scholarship. If a student enrolls in another college/university before attending Lee University, this student will forfeit his or her eligibility for the Centennial Scholarship. This scholarship is awarded by the Office of Admissions. Presidential Scholarship is awarded to any student who has graduated from an approved high school and who scores 27-31 on the ACT or 1250-1400 (Math and Critical Reasoning only) composite score on the SAT. This guaranteed scholarship award is $10,000 for the first year (two semesters) and $6,000 for the second year (two semesters). During the second year, Presidential Scholars are eligible for the Honor Scholarship in addition to the second year award, if he or she meets Honor Scholarship requirements. Students who enroll in another college/university before attending Lee University forfeit eligibility. Presidential scholarships are awarded by the Office of Admissions. Dean’s Scholarship is awarded to any student who has graduated from an approved high school and who scores 24-26 on the ACT or 1130-1240 (Math and Critical Reasoning only) composite score on the SAT. This scholarship award is $7,000 for the freshman year (two semesters). Students who enroll in another college/university before attending Lee University forfeit eligibility. Dean’s scholarships are awarded by the Office of Admissions. Honor Scholarship is awarded to any incoming applicant or returning student who has passed a minimum of thirty (30) semester hours, has a cumulative GPA of at least 3.7, and who is currently enrolled as a full-time undergraduate student. The scholarship provides the amount of $2,000 for the semester awarded. This scholarship can be utilized in an unlimited number of semesters as long as all criteria mentioned above are met. The Honors Scholarship can be awarded to second year Presidential Scholarship recipients. Students enrolled in the Division of Adult Learning or students who have already graduated with a bachelor’s degree are not eligible for this scholarship. This scholarship is awarded by the Office of Records. The purpose of the Asian Scholarship Program is to help expand partnerships & recruitment opportunities that were established by Lee University with specific Asian countries through the Asian study grant initiative. The program will provide (14) student scholarships to international students from various Asian countries. Eligible scholarship recipients are students coming to Lee for the first time beginning August 2010 from these targeted Asian countries: China, Japan, Korea, Taiwan, and Thailand. The recipient of the scholarship shall be a full-time undergraduate or graduate student in good standing, pursuing a degree from Lee University. All recipients will be selected by a committee on the basis of provisions listed herein; academic achievement, talent, or leadership experiences. Each recipient will be awarded $7,000 per year or $3,500 per semester. Any remaining cost, including books, would be covered by the student. Summer classes are not covered by this program. The award will apply for fall and spring semesters only. The scholarship shall be identified as the Asian Pacific Scholarship. The number of awards shall be limited to 14 total students for any given semester. Students receiving this award are limited to (8) semesters. Applications received by March 15 of each year will be considered for available scholarships. The selection of the scholarship recipients is wholly and strictly the responsibility of the Lee University Asian Pacific Scholarship selection committee. In the selection of the scholarship recipients, major consideration will be given to the potential academic performance and talent or leadership ability of each applicant. This scholarship shall be awarded to a full-time undergraduate or graduate student enrolled in any academic program. First priority will be given to Asian students who are from the specific countries outlined above. Application deadline is March 15. Two letters of recommendation are required for each applicant. Official records of previous academic work. Copies must be certified as true copies by an official of the educational institution. Official secondary school or preparatory school records. All transcripts must be translated into English. A TOEFL (Test of English as a Foreign Language) score must be officially reported by the Education Testing Service if the applicant is from a non-English-speaking country. 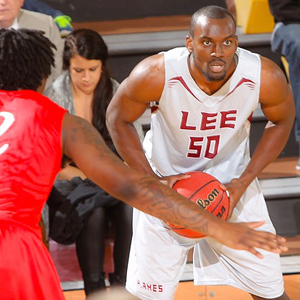 Lee University’s institutional number is 1401. All undergraduate applicants must submit an official American College Testing score (ACT) or SAT scores from the College Board. A sponsor’s guarantee form and bank statement, documenting that there is sufficient financial resources for twelve months of study including travel expenses. This is a United States government regulation that is strictly enforced by Lee University. A signed Estimate of Expenses form, which is provided in our International Student Booklet, is also required. If a scholarship recipient withdraws from Lee University or fails to remain eligible for continuing his or her studies, eligibility for this scholarship becomes invalid. Hicks Scholars will be expected to volunteer for a work assignment within the department for five hours each week under the supervision of the chair. The Roberson Memorial Leadership Scholarship Program annually awards 25 scholarships of $2,000 each to applicants who have shown outstanding leadership ability in high school or college. Special consideration will be given to students who have demonstrated successful leadership, character and service in school activities, church ministry or community service programs. Inquiries or questions can be answered by the Admissions Office. Scholarship Applications and letters of recommendation should be submitted to the Office of Admissions by March 15. 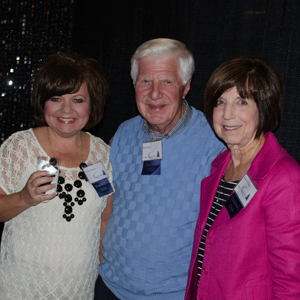 The Lettie Pate Whitehead Scholarship Program awards 17 scholarships of $2,000 each. In accordance with the guidelines prescribed by the Lettie Pate Whitehead Foundation, scholarships will be awarded to women who reside in one of nine specified states - Georgia, North Carolina, South Carolina, Virginia, Louisiana, Mississippi, Alabama, Tennessee and Florida. Recipients will be chosen primarily on the basis of need, with consideration given to academic merit and character. The Scholarship Application must be submitted to the Office of Admissions by March 15. The Presser Undergraduate Scholar Award is awarded annually to the School of Music’s most outstanding music major at the end of the student’s junior year for use in his/her senior year. The Presser Scholar is selected by the music faculty whose choice shall be guided solely by consideration of excellence and merit. The student selected is identified by the music faculty and the decision communicated by the Dean of the School of Music to the Presser Foundation with a brief statement about the student. The award is granted for one year. In addition, music scholarships are awarded to students demonstrating performance ability in applied music. Interested individuals should write to the Dean, School of Music, Lee University. Performance scholarships are also available from each of the performing ensembles. Contact music@leeuniversity.edu for more information. The Tucker Foundation Scholarship will be awarded each year to an outstanding student in the Department of Natural Sciences and Mathematics. The Chair of the Department of Natural Sciences and Mathematics will accept recommendations from the science and math faculty and will nominate the Tucker Scholar at the end of his/her junior year to the Student Aid Committee. The Tucker Foundation Scholarship recipient will be chosen based on outstanding academic achievement, with consideration given to financial need and priority given to students who graduated from an East Tennessee high school. The scholarship will be applied to the recipient’s tuition and expenses for his/her senior year. A plaque in the science/mathematics building will honor the Tucker Scholars by recognizing the Tucker Foundation and listing the name of each scholarship recipient by year. Begun in 2002 for the purpose of assisting future vocational ministers in their education to fulfill their calling, the Poiema Scholarship Program (pronounced ”poy-ay-mah”) provides 10 scholarships for School of Religion (SOR) majors for the 2013-2014 academic year. The details of the amounts awarded and eligibility requirements as well as the selection process are offered below. This award applies for the fall and spring semesters only. In the selection of scholarship recipients, major consideration will be given to academic ability and potential within one’s chosen calling to ministry. Consideration will also be given to financial need. Any candidate for the Poiema Scholarship must be enrolled as an SOR major at the time of application and must remain an SOR major for the duration of the reception of the award. Current students at Lee University must have a GPA of 3.4 or above to be considered for this scholarship. Incoming freshmen must have demonstrated academic potential in their high school years as well as a clear sense of ministerial calling. This scholarship is an honors scholarship—one that requires evidence of scholarship and character such as would befit a minister of the gospel of Christ. This scholarship also asks students to volunteer 5 hours a week at various places of ministry throughout the Lee University campus, including the School of Religion, the Leonard Center, and the Campus Pastor’s Office. This is designed to put recipients in touch with various types of ministry leaders on campus. Scholars must be enrolled full-time in Lee University while receiving this award. If a recipient changes his/her major to one outside of the SOR or is not enrolled full-time in Lee University, the scholarship will be forfeited in the semester that this change occurs. The Poiema Scholarship Committee (described below) may replace any forfeited scholarships as needed. Applications and instructions for incoming freshmen may be obtained through the Office of Admissions at Lee University. Applications and instructions for sophomores, juniors, and graduate students in the School of Religion may be obtained through the Office of the Dean at the School of Religion building (Suite 108A or B). (423.303.5080). Applications for incoming freshmen are due at the Office of Admissions by 15 March 2013. Applications for all others are due at the Office of the Dean, School of Religion, by 30 April 2013. The Poiema Scholarship Committee will determine the final selection of recipients. This committee consists of the Dean of the School of Religion, the chair of the Department of Theology, the chair of the Department of Christian Ministries, and two SOR faculty representatives. Recipients will be informed no later than 15 May 2013. State Alumni Chapter Endowed Scholarship funds are available from the following State Alumni Associations: Florida, Georgia (North), Georgia (South), Delmarva-D.C., Western North Carolina, South Carolina, Tennessee and Virginia. These State Alumni Scholarships have been endowed by each State Alumni Association. Selection of the scholarship recipients will be made by the Lee University Student Aid Committee from recommendations received from the State Alumni Associations. Application for these scholarships should be made through the respective state alumni chapters. Three scholarships of $2500 are awarded annually. Scholarship applications and letters of recommendation should be submitted to the Office of Admissions by March 15. Theatre Talent scholarships are available to Theatre majors. Talent Scholarships are awarded based on financial need and talent. The number and amounts vary each year. Students may audition in person or send in a taped audition. There is also a short application that must be submitted. Additionally, theatre faculty have a time for auditions during Lee Day. To receive information about the scholarships please contact the Communication Arts Department main office, Dixon Center 101 or e-mail theatre@leeuniversity.edu. This award is in the amount of $3,000 and is awarded for one academic year to transfer applicants who have been offered admission to Lee University, are graduates of a community college, have a minimum grade point average of 3.00 on a 4.0 scale and are enrolled for full-time (12 credits or more) study at Lee University. Applicants must transfer to Lee after graduation without attending another community college to be eligible and must not be a readmitting student. Final community college transcript with graduation date is required for scholarship eligibility. Applicants must be offered admission for fall or spring semester to qualify. This scholarship cannot be combined with the John D. Nichols Scholarship or Phi Theta Kappa. The Scholarship Application must be submitted to the Office of Admissions. This award is in the amount of $2,000 and is awarded for one academic year to transfer applicants who have been offered admission to Lee University, have completed 30 semester hours, are transferring from a two-year or four-year institution with a minimum grade point average of 3.00 on a 4.0 scale and are enrolled in full-time (12 credits or more) study at Lee University. To be eligible all final college transcripts with cumulative GPA are required. First-time freshman with dual enrolled hours and readmitting students are not eligible for the award. Applicants must be offered admission for fall or spring semester to qualify. The Nichols Scholarship cannot be combined with the Community College Graduate or Phi Theta Kappa Scholarships. The Scholarship Application must be submitted to the Office of Admissions. The Phi Theta Kappa Scholarship is awarded to students who have a current Phi Theta Kappa membership, an Associate’s Degree and a 3.5 cumulative GPA. This guaranteed scholarship amount is $4000 for the first year (two semesters) and $4000 for the second year (two semesters). There is no deadline to apply. This scholarship cannot be combined with the John. D. Nichols or Community College Graduate Scholarship, but it is possible to recieve both the PTK and the Honor Scholarship. The scholarship application must be submitted to the Office of Admissions. Readmitting students and students who have attended another institution since completing their Associate’s Degree are not eligible for transfer scholarships. Lee University will offer a $1,000 annual, renewable scholarship to a male or female applicant of color. Applicants must be full-time students, Bradley County residents, U.S. citizens and maintain a minimum 2.5 GPA. Applications may be obtained by writing to the 100 Black Men of Bradley County, Inc.; P.O. Box 5656; Cleveland, TN 37320-5656. The 2 + 2 Scholarship is a two-year full-tuition scholarship less any federal or state grants the student is eligible to receive. Applicants must be graduates of Cleveland State Community College, full-time students, and maintain a minimum 2.5 GPA. Recipients must apply for federal aid by submitting the FAFSA to determine eligibility. Recommendations will be made by the 100 Black Men of Bradley County, Inc. Applicants must complete the Lee University Endowment Scholarship Application online prior to the March 15 priority deadline. Student may view a list and description of the Endowment Scholarships on the Lee University website. Recipients must be enrolled full-time and attending the main Cleveland campus with a minimum 2.5 cumulative GPA. Students receiving full-tuition discounts are not eligible for endowed scholarships. The Lee University Student Aid Committee is wholly responsible for the selection of the endowment scholarship recipients. In this selection, academic and leadership qualities are considered, but the major consideration is given to financial need. 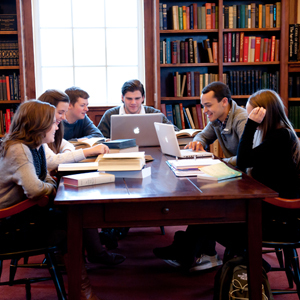 Students may receive only one endowed scholarship per academic year. Scholarships will be discontinued any time a recipient withdraws from Lee University or fails to meet requirements regarding academic progress or chapel probation. Family Tuition Discounts are processed by Student Financial Services. For additional information see the Family Tuition Discounts section in the Undergraduate Tuitions and Fees section of Lee University catalog or contact the Student Financial Services Office at (423) 614-8100. Due to an initial contribution from Dan and Mary Nell Winters, Lee University established a Winters Foundation Loan Program. Any enrolled student with bona fide need may apply for a short-term 90-day loan. A graduated service charge of $10 for $200, $15 for $300, and $20 for $400 is applied. Program Statement of Purpose: Lee University is genuinely concerned that the students of this institution have accessible to them an appropriate short-term loan program. It is a requirement of the Lee University institution to establish active procedures insuring the repayment of temporarily lent funds. As good stewards, efficiency and due diligence are essential to quality institutional programs, utilizing the Due Diligence Program of Collections as outlined by the National Association of Secondary School Financial Aid Administrators and the National Association of College and University Business Officers. The collection procedure will be administered systematically, uniformly, and with empathy and compassion. Individual cases that warrant extraordinary actions of deference will be reviewed with Christian care. Lee University has been approved by the Tennessee Higher Education Commission each year to be able to certify eligible veterans and dependents for educational benefits. Each student who thinks that he/she is eligible for veterans’ educational benefits can call 1-800-827-1000 for current VA information. This number is available from any location in the United States and will connect the caller to the nearest regional office. For more information, click here. Lee University’s Veteran Affairs is available to help eligible students through the process of obtaining Veterans Benefits. If you served on Active Duty, you might be eligible for educational benefits by the Department of Veterans Affairs. For example, the Post-9/11 GI Bill provides financial support for educational and housing expenses to individuals with at least 90 days of aggregate service after September 10, 2001, or individuals discharged with a service-connected disability after 30 days. You must have received an honorable discharge to be eligible for the Post-9/11 GI Bill. If you are the spouse or child of a service member who is serving on active duty Title 10 orders in the paygrades E1-E5, O1-O2, or W1-W2, you may be eligible for financial assistance from the Department of Defense for education, training, and /or the occupational license and credentials necessary for a portable career. The Montgomery GI Bill, known as the MGIB, is a program of educational benefits for individuals who entered active duty for the first time after June 30, 1985, and who received an honorable discharge. Active duty includes full-time National Guard duty performed after November 29, 1989. To receive the maximum benefit, the participant generally must have served continuously for three years. MGIB-SR (Montgomery GI Bill-Selected Reserve Educational Assistance Program, chapter 1606, of title 10, U.S. Code) is an educational benefits program. This program is for members of the Selected Reserve. The Selected Reserve includes the Army, Navy, Air Force, Marine Corps, Coast Guard, Army National Guard and Air National Guard. The reserve components decide who is eligible for the program. Vocational Rehabilitation is a program of services for service members and veterans with service-connected physical or mental disabilities. Under VEAP, active duty personnel voluntarily participated in a plan for education or training in which their savings were administered and added to by federal government. Service persons were eligible to enroll in VEAP if they entered active duty for the first time between January 1, 1977 and June 30, 1985. Please visit or call 1-888-442-4551 for questions concerning eligibility and enrollment. Beginning August 1, 2009 the Post-9/11 GI Bill provides financial support for education and housing to individuals with at least 90 days of aggregate service on or after September 11, 2001, or individuals discharged with a service-connected disability after 30 days. The Post-9/11 GI Bill also offers some service members the opportunity to transfer their GI Bill to dependents. Approved training under the Post-9/11 GI Bill includes graduate and undergraduate degrees, and vocational/technical training. · Tuition & fees directly to the school not to exceed the maximum in-state tuition & fees at a public Institution of Higher Learning. · For more expensive tuition, a program exists which may help to reimburse the difference. This program is called the “Yellow Ribbon Program”. · A monthly housing allowance based on the Basic Allowance for Housing for an E-5 with dependents at the location of the school. · An annual books & supplies stipend up to $1,000 paid proportionately based on enrollment. The Yellow Ribbon G. I. Education Enhancement Program covers situations where an institution’s tuition and fees exceed the maximum public in-state amount. Under this program, the federal government will match dollar-for-dollar any institutional contributions made to help eligible veterans cover any tuition and fee costs in excess of the maximum in-state public college tuition amount. Only veterans who are eligible to receive 100% of the benefit rate provided under the bill many participate in the Yellow Ribbon program. To be eligible for 100% of the benefits, an individual must have served at least 3 years on active duty in the Armed Forces beginning on or after September 11, 2001, or have served at least 30 continuous days and been released for a service-connected disability. For further information please contact the Assistant Vice President for Enrollment. This program provides education and training opportunities to eligible dependents of certain veterans. Students who want to check to see if they are eligible under this program should get a copy of the veteran’s service dates and the VA file number and then call the regional office. Note: These are estimated Cost of Attendance figures which are used for Financial Aid purposes. © 2009 Lee University, All Rights Reserved. Powered by acalog ACMS”.